As a bellwether of the overall health of the PR industry, Edelman's 2018 financials are a stark reminder of the challenges of achieving real growth on top of a large existing base in the current economic climate. Richard Edelman blamed pressure on marketing budgets for disappointing 2018 financials. The ambition of the world’s largest PR firm to hit the $1 billion revenue mark is continuing to prove elusive. Edelman yesterday unveiled its 2018 calendar-year numbers and posted negative growth for the first time since the financial crisis a decade ago. The PR behemoth’s global revenue dipped 1.1% in 2018 versus 2017 on a like-for-like basis, from $893.6 million to $888.4 million. The agency’s parent company DJE Holdings, which also includes Zeno, United Entertainment Group, Edible, and Krispr, did slightly better, shrinking 0.1% over the last year, to $958.2 million. Both Zeno and UEG were up 12% year over year. In the U.S., by far Edelman’s biggest region, revenues fell 0.7% from $549 million to $545.3 million. EMEA was down 2.4% to $188.2 million, and Asia-Pacific fell 2.8% to $104.2 million. The agency’s revenue increased by 6.1% on a like-for-like basis in Canada to $29.8 million and by 0.4% in Latin America to $20.9 million. President and CEO Richard Edelman attributed the uncharacteristically poor performance to decreased spending by big brands, especially from the marketing departments of CPG, food and beverage brands. Edelman also lost some high-profile accounts, including Tata Group in India. He pointed to the world’s biggest marketer, Procter & Gamble, as symptomatic of the pressure on budgets that is drip-feeding down the food chain. P&G has cut hundreds of millions of dollars from its marketing spend over the past 18 months and is reducing the number of agencies it works with by 50%. It is also increasingly in-housing services such as media planning and buying, digital, ad production, and brand content creation. 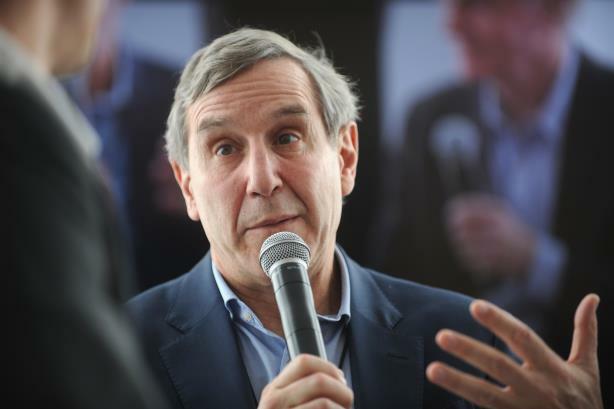 Edelman works with P&G’s biggest competitor, Unilever, and similar trends are in play over there, though of course Richard Edelman is more circumspect in talking specifically about those to illustrate his point. Other CPG and food companies are following suit, and additional business pressures are also squeezing these enterprises. Just yesterday, Kraft Heinz’s stock plunged 20% after the food and beverage conglomerate posted a huge loss of $12.4 billion in Q4 and wrote down the value of assets including its Oscar Mayer and Kraft brands by $15 billion. Kraft Heinz attempted to buy Unilever in 2017. Food consumption habits are changing; commodity prices are rising across the board; there is much more competition from own-brand products; and big retailers are squeezing manufacturers even harder. The pain is flowing down the chain to these enterprises’ marketing and communications agency suppliers, despite the cash windfalls from 2018 corporate tax cuts and cash repatriation, which has largely been returned to shareholders in the form of buybacks. This is a tough business environment for everyone to operate within, although the picture in 2018 appears to be rosier over at the world’s second-largest PR firm, Weber Shandwick. Interpublic Group’s largest PR player posted full-year growth in the "mid-single digits" in 2018, according to CEO Andy Polansky. Interpublic’s CMG unit, which includes firms such as Weber, Golin, DeVries Global, Rogers & Cowan, and Current, reported an organic full-year revenue increase of 3.4% to $1.3 billion. Weber’s numbers no doubt benefited from a big win last year when it took on lead global PR duties for IBM, an account that is more than likely in the eight-figure region. On the debit side, in 2018 it lost high-profile work with State Farm (to Edelman sibling Zeno) and the U.S. Army account - an Interpublic Group assignment that is still winding down and transitioning to Omnicom. Polansky noted that his firm had a particularly strong finish to Q4, especially in the healthcare and technology sectors. The common thread across both of these agency giants is that they are constantly reinventing themselves to respond to new market realities and stay ahead of the game in terms of what clients want. Edelman has doubled down again recently with high-profile hires including bringing on Judy John from Leo Burnett as chief creative officer; hiring Thomas Crampton from Ogilvy as global chair of its digital practice; and, most recently, White House spokeswoman Lindsay Walters, who is joining the firm in April. Historically, the agency is a juggernaut that pushes on remorselessly even though people and clients often get discarded along the way amid the frenzied pace. Richard Edelman reiterated yesterday that he is once again re-upping on his mission and will not be pausing the push for growth, despite 2018’s disappointing financials. For its part, Weber has quietly dropped its content creation and distribution unit Mediaco, which it launched in 2013 with great fanfare and a splash in a national newspaper. It subsequently supplemented the unit with digital agency acquisitions in 2017 and has now folded it into its mainstream agency offering. The new buzzword at Weber is Solve for X, though that is less of a go-to market proposition and more of a state of mind that informs tailored client responses. It’s all part of the aforementioned need to constantly update services and offerings for the new client environment. Business is extremely tough at the moment and the PR business is no stranger to the impact of those trends. This is especially true at the rarified level of the two biggest PR firms in the world as they battle to prove it is possible for the concept of a $1 billion PR agency to become a reality - often, as was the case this week, head to head for the business of one of those very large and lucrative CPG accounts that are increasingly shaping their fortunes.